YOU MIGHT NOT think it, but we are moving into another golden age for cars. But unlike the rocket-inspired styling of the 1960s, the current and next generation of cars will be exciting for different reasons. Styling will continue to be dictated by safety requirements, but designers are getting better at working around these challenges. The growing number of electric vehicles will also change the automotive landscape, with more interesting looks. Almost every mainstream manufacturer now features a distinct crossover/SUV lineup in its range and the influence of these has already begun extending into other cars. Estate cars, for instance, often offer more rugged versions that feature raised suspension and additional body cladding. We’re also seeing recent advances in lighting technology have a growing influence on car design. Headlights in particular are being used as styling elements to help give cars more recognisable and characterful faces – and the ‘light signature’ of LED daytime running lights is now almost as important as badge and grille design in a brand’s identity. Personalisation options are getting more and more trendy. Being able to have a two-tone exterior with a contrasting coloured roof or mirrors is very popular and means that you can tailor a car to your own taste. 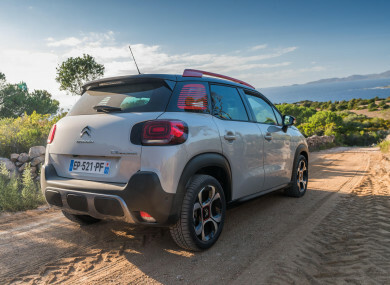 The Citroen C3 Aircross has 85 different combinations and the Nissan Micra has 100, with Nissan saying that 18 per cent of customers are choosing to personalise the exterior of their Micra. The compact crossover craze will continue to grow in 2018 with even more manufacturers getting in on the act and launching new models. Expect to see our roads flooded with new Hyundai Konas, Kia Stonics, Peugeot 5008s, SEAT Aronas and Volkswagen T-Rocs. Compact crossovers are gaining in popularity because they are often more affordable to buy and usually more efficient and cheaper to run than traditional SUVs, while many still give that raised ride and high driving position that motorists currently desire. There will be a lot more petrol and hybrid options to choose from in 2018 but diesel will still continue to be the more popular choice in Ireland. However, at least those that aren’t totally obsessed with owning a diesel will have more choice when it comes to powertrains. There was a huge increase in buyers of petrol hybrid cars last year and with more models coming on to the market with hybrid powertrains this trend should continue in 2018. The longer battery ranges of plug-in hybrids and electric cars will make these cars a more realistic option for a greater number of people. Engines will also continue to get smaller, more economical and cleaner without a loss of power. The smallest member of Ford’s EcoBoost range – a one-litre, three-cylinder unit – delivers more power than a 1.6-litre, four-cylinder engine of the previous generation. I’ve noticed a trend for more cars to be offered with all-wheel drive or some sort of enhanced traction control system. Everything from city cars to sports saloons to luxury estates can be had with extra grip control – and I suspect more manufacturers will offer this throughout the year as there is now less of a penalty in both weight and fuel consumption for all-wheel drive transmissions. Apple CarPlay and Android Auto are heading towards ubiquity in 2018 making the apps you use on your smartphone available every time you get behind the wheel. And the really good news: wireless charging is appearing in more and more new cars as the number of smartphone handsets with this capability increases. Years ago items like Bluetooth, sat-nav and parking sensors were the domain of premium brands. These are now standard features in most cars and this trend will continue in 2018. We have seen many more vehicles offered with safety features such as forward collision warning with automatic emergency braking and blind spot detection as standard or at least as an affordable option. With a greater emphasis being put on safety as a selling point for cars we should begin to see more advanced safety tech as standard as the year goes on. Email “The 7 biggest car trends to watch out for in 2018”. Feedback on “The 7 biggest car trends to watch out for in 2018”.